Two new mines to be opened over next three years in Pechenga, the company’s hotbed in the Kola Peninsula. Kola MMC, the regional subsidiary of Norilsk Nickel, is preparing for an extension of activities in the borderlands to Norway and Finland. That includes the opening of two new mines by year 2019, and the annual provision of an additional 2,5 million tons of ore to the company’s local processing plants. The expansion is a key part of the company’s development strategy in the Kola Peninsula, company General Director Igor Ryshkel says to corporate newspaper Kolsky Nikel. One of the new projects, the «Sputnik», will be developed as an open pit. It holds nine ore bodies and will deliver an annual 1 million tons of ore. It is located 16 km east of the town of Nikel and is to be opened for production in year 2019, the company informs. The other project, the «Yuzhny», is based on one of the ore bodies of the great Zhdanovskoye field and will be developed as an underground mine. The underground part of «Yuzhny» is projected to deliver 1,5 million tons of ore from 2018. Currently, open pit mining is conducted at the «Yuzhny». With the new projects, Kolskaya MMC will be able to boost local production to more than 10,5 million tons per year. According to the company, a total of 8,1 million tons of ore was extracted in 2013. Of that, about six million tons was taken for the «Severny Gluboky», the underground mine opened in 2004. The Kola MMC has a total of eight field areas in the Pechenga area, four of which are developed; the Kotselvaara and the Semiletka located near the town of Nikel and the Zhdadnovskoye and Zapolyarnoye located further east near the town of Zapolyarny. For decades, the Zhdanovskoe field provided the lion’s share of local ore. Open pit extraction at the «Tsentralny» mine delivered millions and millions tons of ore to the company. Both the «Severny Globoky” and the «Yuzhny» are also part of the great deposit. 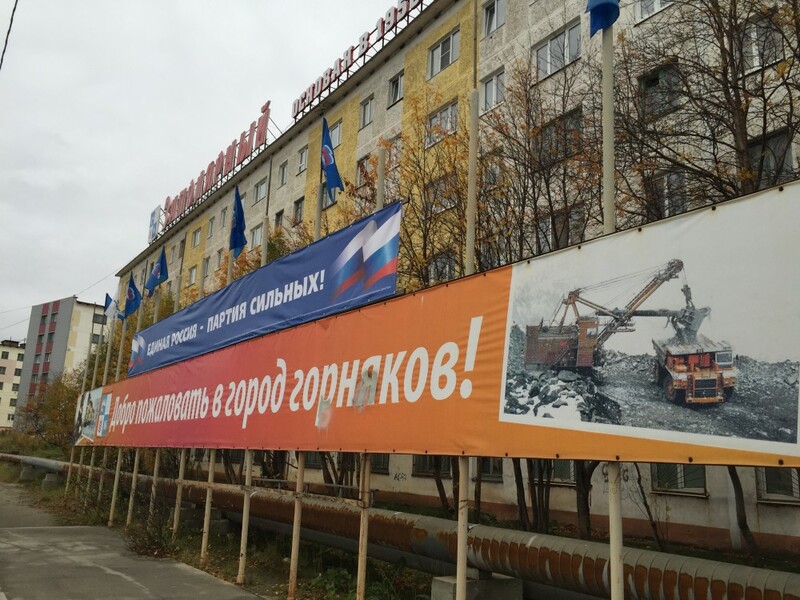 Mining at the «Zhdanovskoye» will continue in the present form until 2030. After that, depths of extraction will be extended to 740 meters, the company informs. Kola MMC processes the ore at its metallurgy plants in Zapolyarny and Nikel. The local end product is nickel matte, which is sent by railway to Monchegorsk, the other nickel town in the region, where pure nickel is processed.